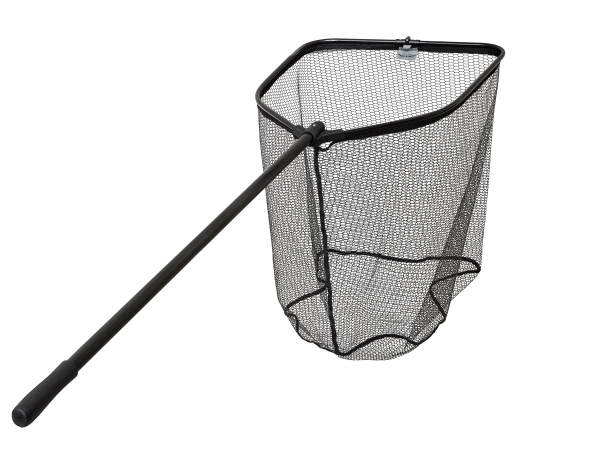 Pezon & Michel Specimen Compact Net Landing net with folding head is a ultra compact design so its easy to carry around. Once opened the net is very wide and deep so will take the biggest specimen fish. With it folding metal fixings and black out aluminium handle for all those specimen hunters. Net Size - 70cm x 60cm - Length - 1.92 meters.